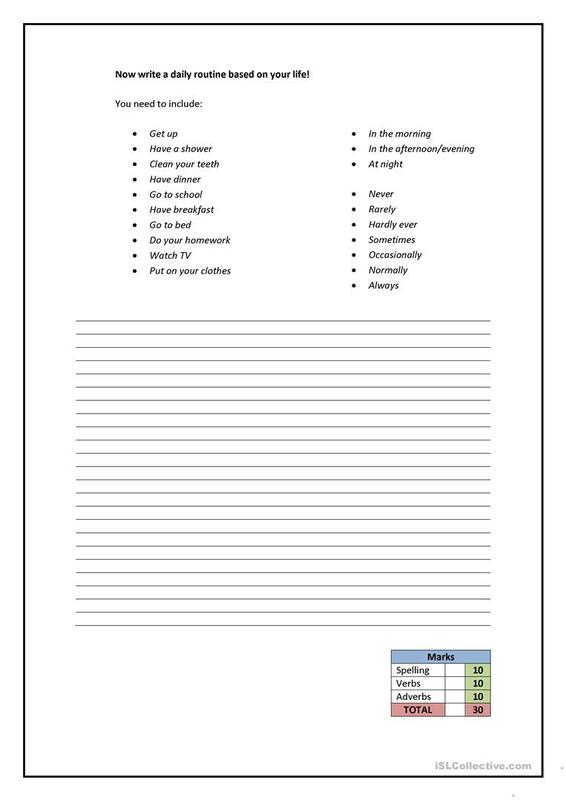 A worksheet which shows adverbs of frequency in context followed by an intensive reading task. The second page focuses on writing. The above downloadable worksheet is recommended for high school students and elementary school students at Elementary (A1) and Pre-intermediate (A2) level. It is a useful material for practising in English, and is useful for enhancing your class' Reading and Writing skills. rossenglish is from/lives in Spain and has been a member of iSLCollective since 2014-05-09 11:48:11. rossenglish last logged in on 2017-11-29 09:46:29, and has shared 3 resources on iSLCollective so far.